The subject of this picture is Mendelssohn composing his ‘Rivulet’ on the banks of the River Alyn at Rhydymwyn near Mold, North Wales. 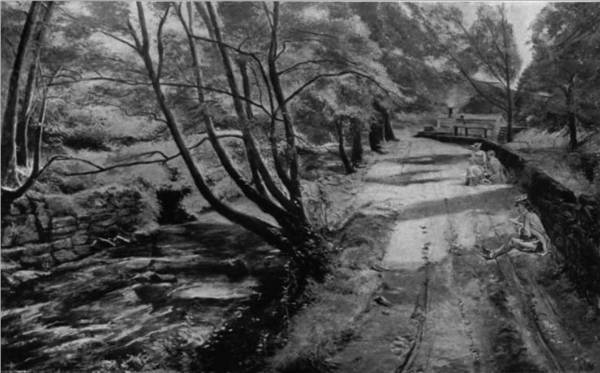 Crowe’s diary mentions abandoning a picture called ‘Rivulet’ as unfinished in February 1906. He returned to the area in August and September 1907.